Proof that Sonamy is real. i had to admit it's a cute couple. but to tell you the truth i never really believed Sonamy was a real Sonic couple. i actually always thought Sonic never loved her. but boy was i wrong. 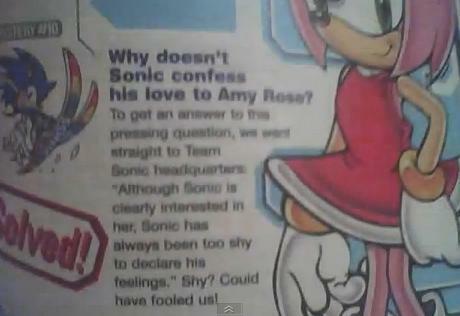 now that i've seen this i actually prefer Sonamy over Sonsal :). Wallpaper and background images in the Sonic the Hedgehog club tagged: sonic amy sonic the hedgehog amy rose sonamy.